The Skype cmdlet Get-CsUserPoolinfo can be leveraged to find out what pool a user belongs to; in addition to find out what are the secondary and tertiary front-end servers for the specified user. If we continue to look further, we can also see the backup pool information for the user along with the primary, secondary and tertiary front-end servers for the paired pool as well. While this information is useful to us, during the mist of a failover, the information does not change. 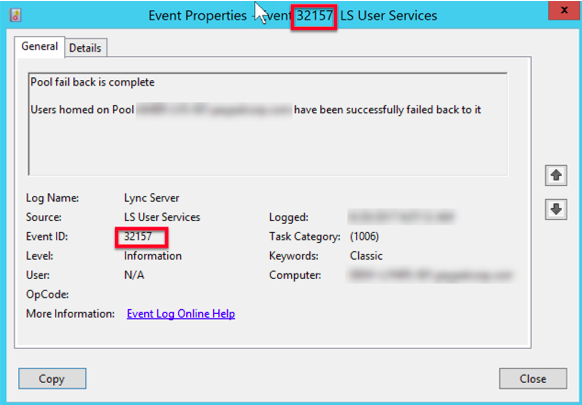 You will not see anything here that tells you, “You are now registered to the backup pool.” Yes, you could look at the configuration information of your Skype client, but running the Get-CsUserPoolinfo cmdlet will not tell you definitely, where you are located at that exact moment. 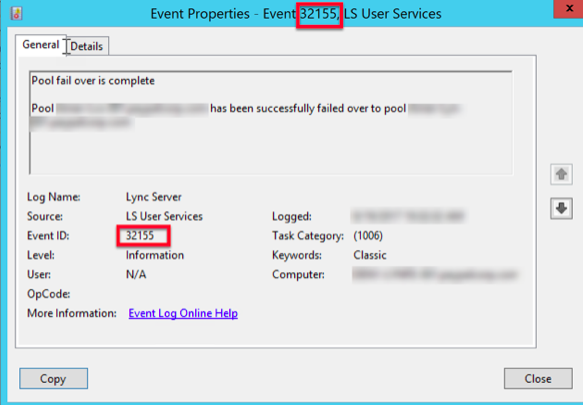 Did you failover the effected pool? Did you failback the pool? At the end of the day, failing over a pool and then failing it back can be a little nerve racking, especially when under pressure, not matter if you have 20,000 users on the pool or a few hundred. What we are looking for at the end, is confirmation that the procedure we just went through with either the Invoke-CsPoolFailover or Invoke-CsPoolFailback cmdlet was successful and our users are safe and sound in their respective pool we were trying to locate them on.